Want to save a little bit of cash on purchases you were already planning to make? Lucky for you, there are tons of apps out there to help you save while doing what you love: shopping. Add these apps to your phone or computer to save money on everything from groceries to flights. If you’re an online shopping fiend, you absolutely need Ebates on your phone and bookmarked in your browser. Hundreds of popular companies including Macys, Nike, eBay, and more are Ebates partners and allow you to enjoy a healthy amount of cash back by shopping on your favorite sites through the app. 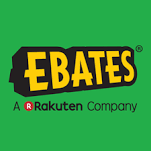 Ebates also keeps track of special promotions and deals happening at your favorite online retailers, giving you even more ways to save. Before you head to your local grocery store, clip some digital coupons through Ibotta. Unlock deals on name-brand products by answering a quick poll or watching a 30-second commercial. Once you’ve purchased that item at a store, simply scan your receipt to rake in the savings. Some of the best rebates on the app are for beers, wines, and hard liquor, so if you like to keep your bar cart fully stocked, you’ll definitely want to take advantage of Ibotta’s rebates before your next party. Planning to head out of town? 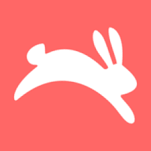 Before you buy your ticket, download Hopper, an app that helps you to find the best deals on air travel. Start by plugging in your ideal travel date and destination, and Hopper will analyze hundreds of flights to determine the best dates and times to travel. Even if you don’t have much flexibility on when you arrive and depart, the app is still worth using. Enter your ideal travel details and Hopper will alert you whenever the flight price drops so you can be sure that you’re booking your ticket at the best possible time. Honey is a little different from other apps in the sense that it’s a browser add-on rather than an app you use on your mobile device. But if you do a lot of online shopping on your computer, it’s definitely an app you need. Honey is great because it can find you discounts and deals while you’re checking out of your favorite online store. The app will scan the contents of your cart and track down coupon codes that you might be able to apply for an extra discount. It’s like a middleman that saves you the extra step of tracking down a working promo code before you make an online purchase. If you’re not already using Groupon to save on services, you’re missing out! Enjoy discounts on everything from fitness classes to beauty services to date night. Browse by activity or scroll through the best deals in your area, then purchase a discounted voucher for a good or service. Most businesses are familiar with Groupon, and have a process in place for cashing in the vouchers; making it easy to use Groupon deals anywhere you go. Apps like these allow you to be frugal and save money on purchases you were already planning to make. Tuck away the cash you save in a rainy-day fund, and you’ll be surprised by how much money you get back within just a few months.